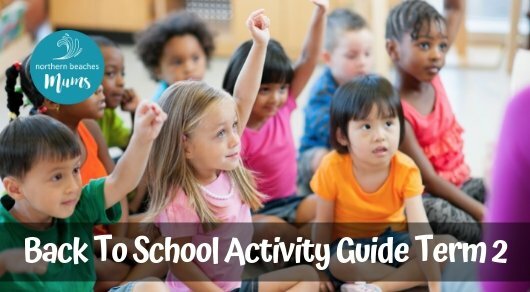 School is back soon and that means it’s time to find new classes and activities! We have joined up with some amazing local businesses to bring you this guide of classes and activities that run throughout the new term, Term 2 2019. We have a wide variety of classes and activities for babies, girls and boys! Also, for more ideas on classes and activities check out our business directory. Highrise Sports Centre is the largest Cheerleading facility in Australia. Located in Mona Vale, they specialise in Cheerleading, Dance, Parkour and Tumbling! Highrise caters for ages 2 years + offering both competitive and non-competitive programs. Their classes allow kids to develop new skills in a friendly and safe environment with the help of highly qualified coaches. The gym is equipped with trampolines, sprung floor, air tracks as well as the built in Parkour room! Inquire for a free trial today! C.A.P.A. Academy is an innovative academy with a passion for performing arts and excellence in creative learning. Based in Warriewood, classes are held in state of the art studios, with canteen facilities, full amenities and onsite car parking. Faculty include some of Australia’s leading performing arts education specialists, industry professionals and certified instructors who teach internationally recognised training programs. One on one coaching-competition teams- performances- exams- recreational classes are also available for students to participate in. C.A.P.A. 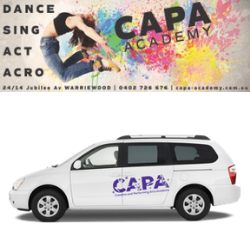 Academy offer daily pick up services from local schools to transport students safely to their afternoon Performing Arts classes in Warriewood. Afternoon tea included. 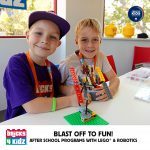 Current pick up locations: Elanora Heights Public School, Mona Vale Public School, Sacred Heart Catholic School Mona Vale and Northern Beaches Christian School Terrey Hills. New locations commencing Term 2, contact for more information. C.A.P.A. Academy Term 2 commences Monday April 29th and bookings are NOW OPEN and will close Saturday May 4th 2019. 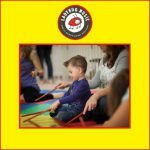 Ladybug Music offers parent-and-me classes for babies, toddlers and preschoolers, with funky and eclectic family music in a warm environment that encourages participation and silliness. Their high quality music curriculum uses a diverse range of rich, complex music, combined with simple melodies and great rhythms, and introduces your child to pitch, tempo, melody and rhytm through signing, instruments, dance and more. Each term comes with a CD (both digital and hardcopy) with wonderful songs the whole family will enjoy, while your child learns music fundamentals that will last a lifetime. At Ladybug they sing it, boogie down & have fun! 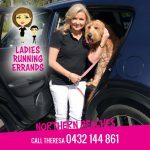 Theresa Finister Lynch, owner of Ladies Running Errands Northern Beaches is your “go to Lady” when you need a breather from daily activities, especially when the kids go back to school. Kumon’s after-school learning support programmes have helped hundreds of Northern Beaches kids grow their English and Maths ability. This May, Kumon is running a two week Free Trial of its Maths and English Programmes. Additionally Kumon will also be hosting an Experience Kumon Maths Quiz Challenge at Warriewood Square Shopping Centre on Tuesday 16 April from 10:00am – 11:30am. To register for the Free Trial, please contact your nearest Kumon Education Centre. Don’t miss out on either of these exciting opportunities! 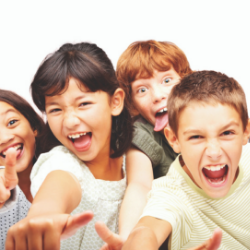 Since 1979 Helen O’Grady Drama Academy has built confidence through structured drama lessons that children love. Parents can be sure that skills needed to succeed in today’s exciting but rapid changing world; collaboration, communication, creativity: are being learnt through highly engaging activities that improve speech, movement, working in groups, idea generation and self confidence. With specialised curriculum and classes for lower primary (K-3), upper primary (4-6) and youth (secondary), with locations in Avalon, Balgowlah, Warriewood, Forestville and Freshwater (Harbord), now is the perfect time to enrol for Term 2. Enquire about the extension program for Youth, new in 2019. Boost your child’s school results – and their confidence – with specialist after school tuition. NumberWorks’nWords will help bring out the best in your child by tailoring the tuition to match their individual needs. All learning programs are relevant to what they learn in class. More than 30 years tutoring children is testament to the success of the programs. Right now NumberWorks’nWords is offering free assessments which will let you know how your child is doing and how to help them reach their potential. They are also registered to accept the Creative Kids voucher for the English programs. Contact them now to see how they can help. 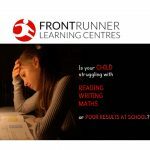 If your child is struggling at school in Maths, Reading, Writing or Homework, Frontrunner Learning Centres can help. Life-changing Tutoring Solutions. They focus on your child’s (from Y1 up to Y12) motivation, confidence, anxiety, freeing them from the fear of failure, encouraging them to do their best and never give up and helping them to find the love of learning. Book your free educational assessment. Over 21 years helping children get in front and stay in front. 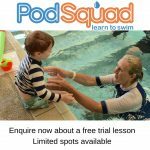 Pod Squad is dedicated to delivering a high-quality aquatic education to children. They ensure their students are taught the right techniques and essential safety skills in an environment where they feel comfortable, can grow in confidence and have fun. With the smaller classes and fully qualified instructors, it allows your child to progress faster in a 33-degree pool. Located right in the heart of the Northern Beaches, they love the pleasure of teaching infants through to teens to become confident and happy swimmers. Reading help is available at Literacy Circle (Killarney Heights). 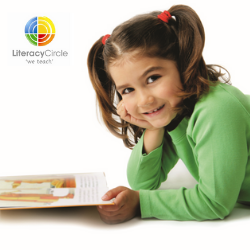 They help children master reading accuracy and fluency using our trademarked explicit phonics instruction program. You can book a free reading assessment to find out your child’s reading skill level. At the assessment they will explain what the skills assessed are and what they mean, your child’s results, a proposed learning plan and answer any questions you may have. Private and small group classes are available. You still have the chance to be a part of the Back to School Term 2 guide! The Back to School Term 2 guide is the perfect guide to showcase your business and activities! We are still accepting submissions for the guide at a discounted price (as you have missed the special edition newsletter). You will still get the chance to be part of all the other platforms including the website, Facebook and Instagram. Click here to find our how.